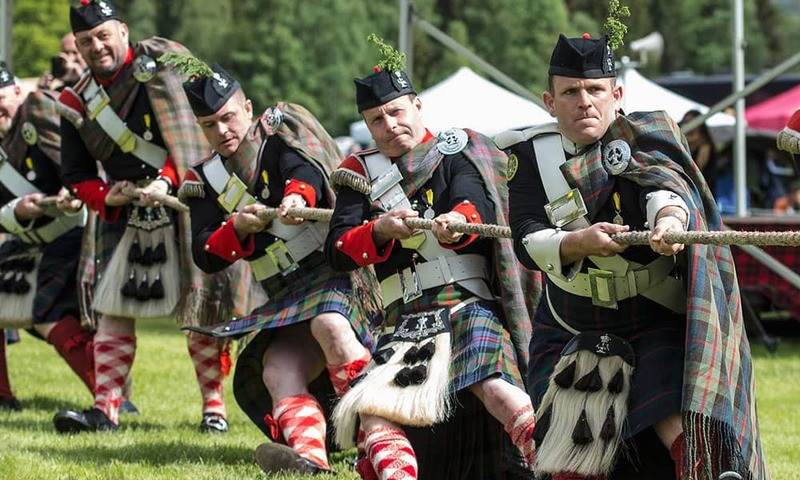 Choose Highland Games as a stand alone half day event or as part of a MAD session. 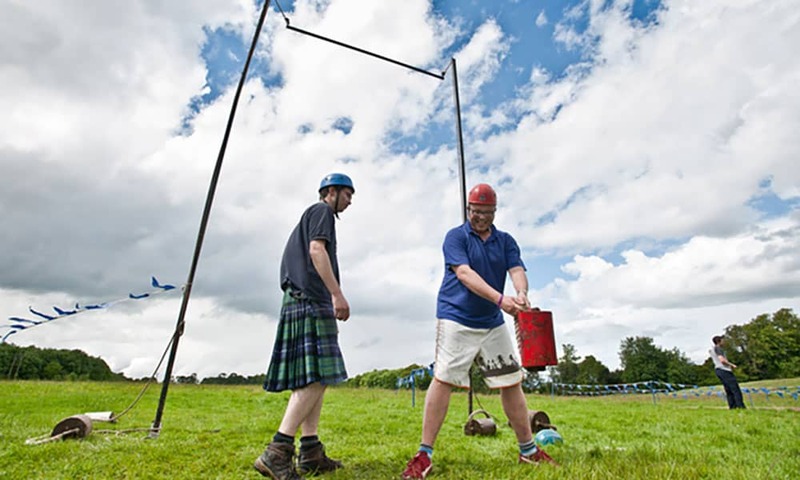 Lots of fun events with Cabre Toss, Putt the Stane, Haggis Hurling, Farmer's Dash, Whisky Tasting and much more! 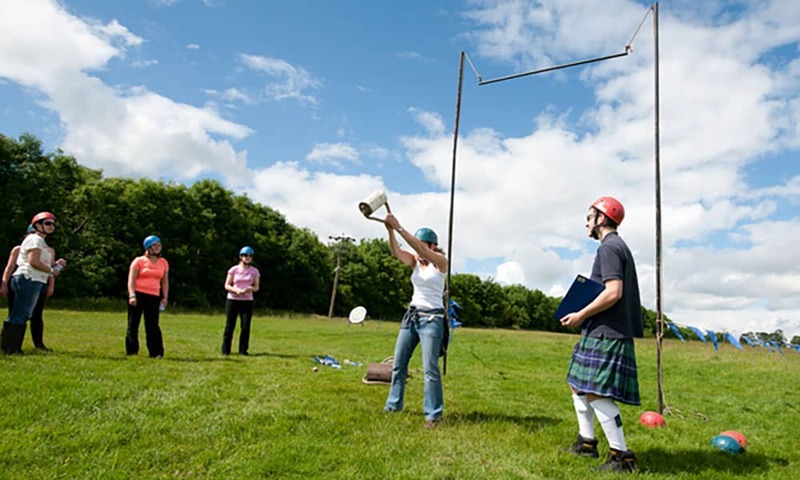 With our mini Highland games package, you'll play as an individual and in teams over a wide variety of games and events. If you're the competitive type, you're sure to rise to the challenge and really enter into the spirit of things wherever you hail from. You will play between 6-8 games and these will be chosen by the instructor. 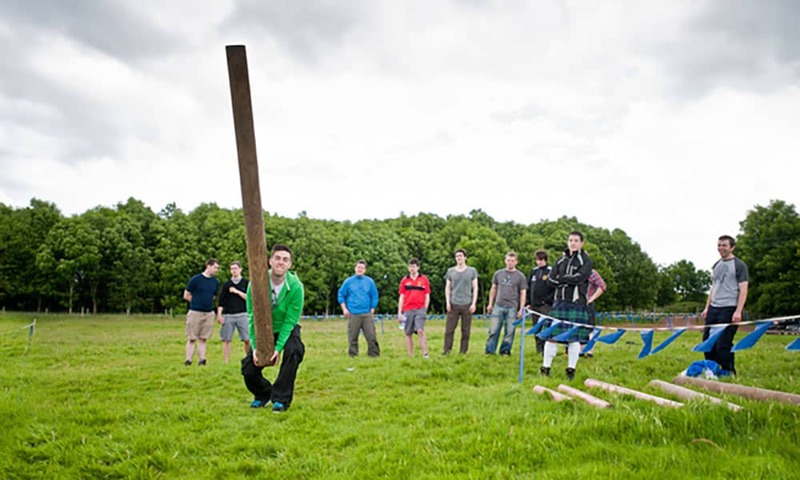 Mini Highland games also make an excellent team-building exercise, helping to develop communication skills, co-operation and personal drive in order to build stronger working relationships between colleagues. What's more, they're also great fun to play! A long tapered pine pole or log is stood upright and hoisted by the competitor who balances it vertically holding the smaller end in his hands. The competitor runs forward attempting to toss it in such a way that it turns end over end with the upper (larger) end striking the ground first. The smaller end that was originally held by the athlete hits the ground in the 12 o'clock position measured relative to the direction of the run. 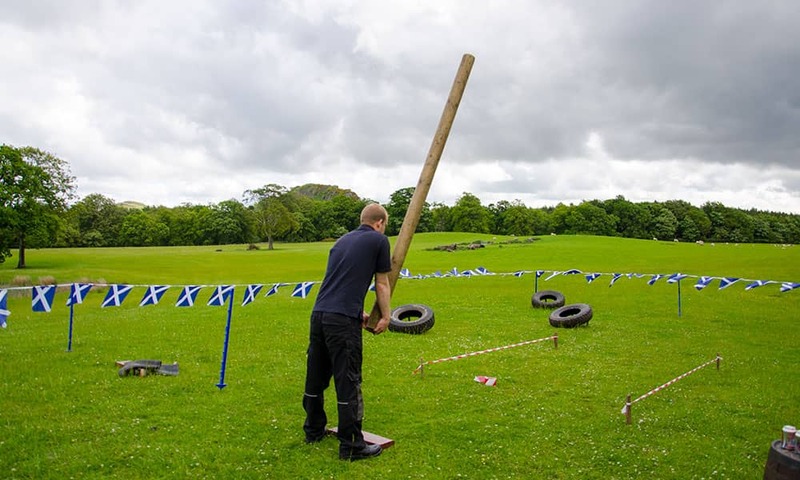 If successful, the athlete is said to have turned the caber. Instead of a steel shot, a large stone of variable weight is often used. There are also some differences from the Olympic shot put in allowable techniques. There are two versions of the stone toss events, differing in allowable technique. The "Braemar Stone" uses a 20–26 lb stone for men (13–18 lb for women) and does not allow any run up to the toeboard or "trig" to deliver the stone, i.e., it is a standing put. In the "Open Stone" using a 16–22 lb stone for men (or 8–12 lb for women), the thrower is allowed to use any throwing style so long as the stone is put with one hand with the stone resting cradled in the neck until the moment of release. Most athletes in the open stone event use either the "glide" or the "spin" techniques. 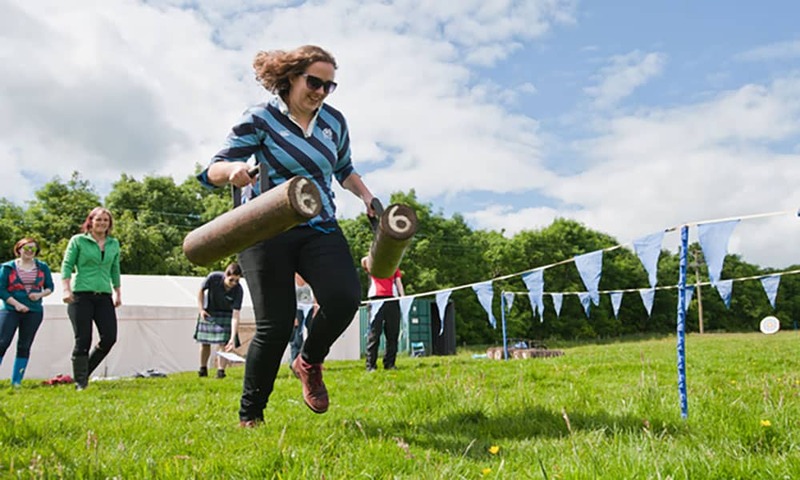 It is a uniquely Scottish sport involving the hurling of a haggis as far as possible for distance and accuracy from atop a platform (usually a whisky barrel). The Haggis must be edible. Or the old school run with Haggis in prime position on the spoon. The sporting haggis weighs 500 grams, with a maximum diameter of 18 cm and length of 22 cm. An allowance of ±30 grams is given and this weight is used in both junior and middle weight events. The Farmer's Dash is done by grasping the handles of the weights in each hand, standing up with them, and walking. In professional competition, the weights vary from around 265 pounds per hand to almost 400 pounds per hand! The contest can be to walk as far as you can with the weights with a pre-set number of set downs allowed, or to walk/run a set distance for the fastest time. Most of the time the event is done over a set distance for time, and set up for two or more contestants to go side by side in a race. 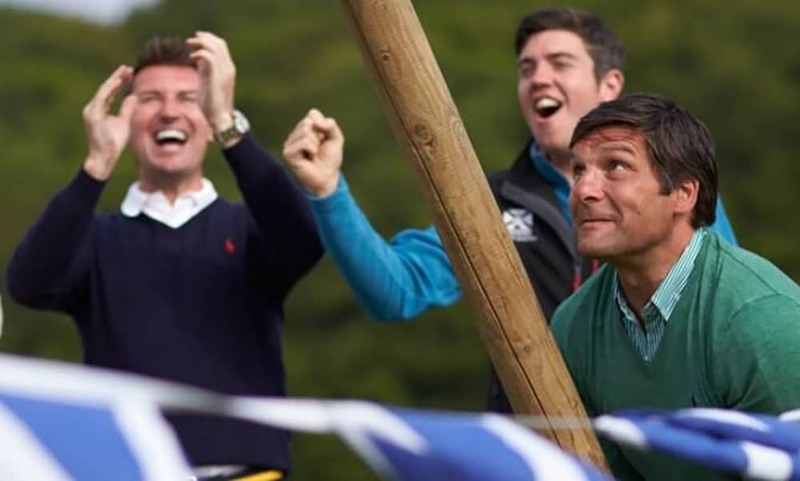 The sheaf toss is a traditional Scottish agricultural sport event originally contested at country fairs and offered in Edinburgh. A pitchfork is used to hurl a burlap bag stuffed with straw over a horizontal bar above the competitor's head. Typical weight for the bag is 16 pounds (about 7 kg). Three chances are given to each competitor to cleanly go over the bar, without touching it. After all challengers have made their attempts, the bar is raised and all successful competitors move on to the new height. This continues until all but one athlete is eliminated. The weight is a steel or lead weight (with a bell, spherical or cylindrical shape) attached to a metal circular handle. The weight is thrown one-handed over a bar set at increasing heights above the thrower. The thrower has three attempts for each successive height. Places are determined by maximum height reached with the fewest misses. There are two techniques for this event. The classic technique swings the weight between the legs before pulling the weight up and directly overhead. The alternate technique (which is not allowed in some games) involves a spinning motion, with the athlete throwing from the side. Now I wonder what Welly Wanging is all about, you will soon learn the principals of wanging soon enough! The classic and often highly competitive game of archery, not as easy as it looks - who will get the bulls eye and win the competition? Helmets and safety gear as required.